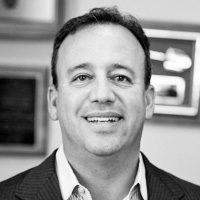 David Meltzer is the Co-Founder and Chief Executive Officer (CEO) at Sports 1 Marketing where he utilizes his relationship capital and situational knowledge to secure diverse business opportunities for all our clients and partners. David has spent the last 25 years as an entrepreneur and executive in the legal, technology, and sports and entertainment fields with expertise across many industry verticals. David launched his career in sports at the world’s most notable sports agency, Leigh Steinberg Sports & Entertainment, serving as CEO, where along with Leigh and Warren, negotiated over $2 billion in sports and entertainment contracts. David sits on numerous boards including JUST capital, OCTANE business incubator, Celebvidy, Rose Bowl Foundation, Transformational Leadership Council, Unstoppable Foundation, among several others.